For the fifth birthday of his son Roland, Ettore made a miniature version of the Grand Prix Bugatti, which he equipped with an electric engine. This model, named “Bébé”, later became a commercial success too. Bugatti manufactured around 450 copies for the children of its customers. Ettore’s first train had to get from the Molsheim factory to the train station. Since there was no rail connection, the rails were laid during the journey. They were put in front of the train and, once it had passed over them, were moved to the front again. Without the ingenious Autorail project, Bugatti would barely have been able to survive the difficult period of the 1930s. Bugatti was a lover of animals. He not only had a small private zoo, but was only satisfied with the best. So he did not rest until he had established his own terrier breeding programme in Molsheim. Jean Bugatti, son of the company founder, drove from Molsheim to Paris in just three hours and 55 minutes in a Type 43. He was accompanied by Lieutenant Loiseau, who would later cross the Sahara in a Type 40. Even today, it’s hard to beat this time despite modern roads. 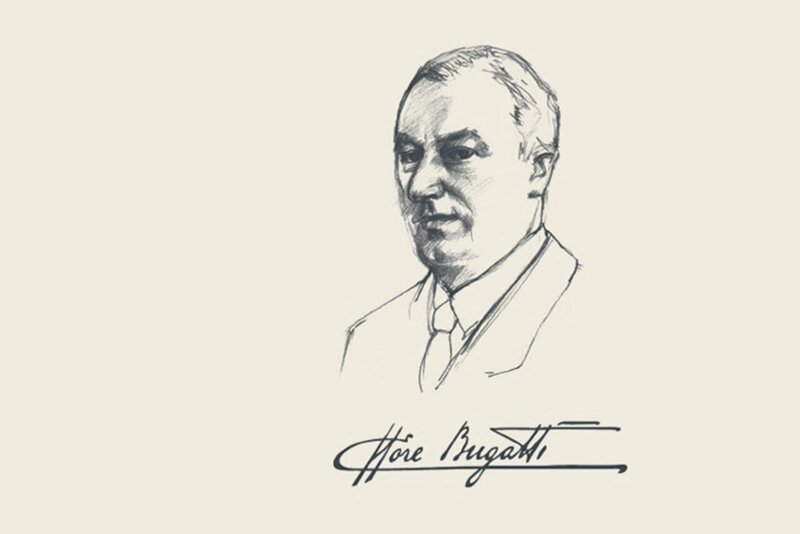 During his lifetime, Ettore Bugatti developed a personal table setting. In addition, he also had his own cutlery made, which was engraved with the initials “EB”. When the price of eggs went up again, Bugatti was annoyed and decided to raise his own chickens. And he did not let the matter rest – he immediately built a henhouse on wheels for the birds. Needless to say, the eggs laid by his own chickens were considerably more expensive. Ettore was given this donkey as a gift by Count Florio after Bugatti won the Targa Florio. The animal roamed the company grounds freely and can be seen in many official press photos. Totosche the donkey was also part of Ettore’s large private zoo. Ettore refused to sell a king any of his cars due to his poor table manners. One customer personally complained to Ettore Bugatti, claiming that the brakes in his race car were of poor quality. In a rather ironic letter, Bugatti replied that his cars were made for driving and not for braking. In fact, there was nothing wrong with the cars’ brakes. A customer complained that his car did not start properly in winter. Bugatti replied that if he could afford a Bugatti, he could surely also afford a heated garage. Emil Bremme, a major Bugatti customer, told the following story from first-hand experience. He was standing with Ettore Bugatti at the entrance gate to the factory when a taxi, which had evidently come from the Molsheim train station, pulled up right in front of them. A potential customer got out and introduced himself. He explained that he wanted to buy a car. Bugatti immediately sent him packing because he did not like the brand of the taxi model. Ettore Bugatti developed surgical instruments for a good friend who was a professor at the hospital in Strasbourg. These instruments can be used to this day, and are still available for purchase. Ettore’s Italian chef complained to him about the broken spaghetti maker. It would have taken a while to get a new one in Alsace, so Ettore immediately set to work on designing a new machine and had it made pronto in the factory. The thing that made it unique was that instead of the usual hand crank, Ettore used a Type 46 steering wheel.